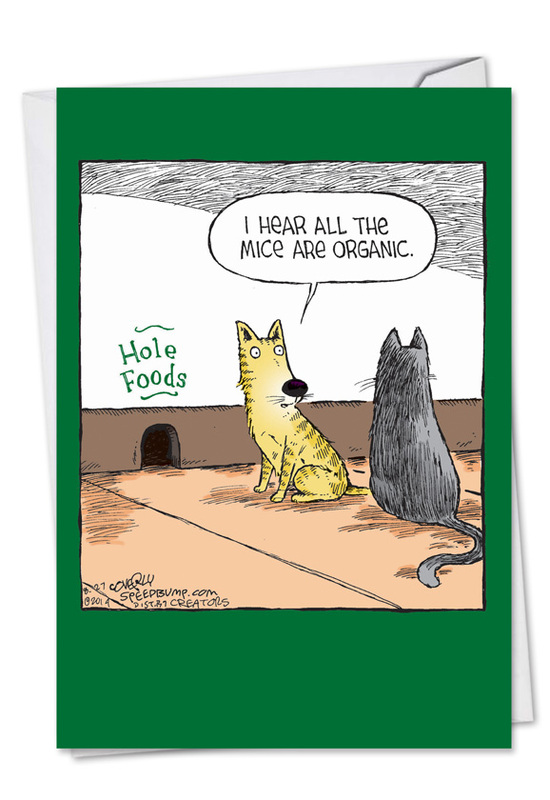 Cover Reads: Hole Foods � I Hear All The Mice Are Organic. 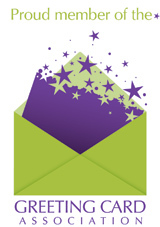 Inside Reads: Wishing You A Happy Birthday, Naturally! 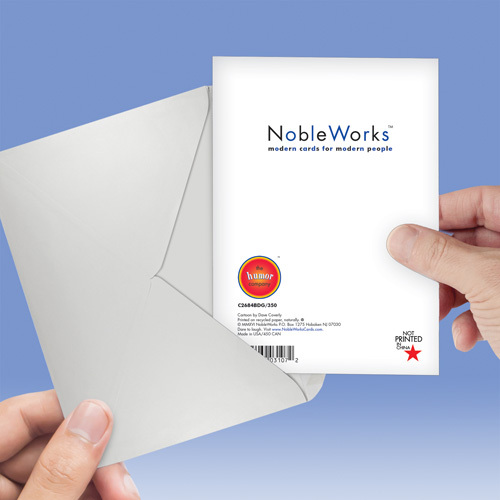 Because we offer adult cards that would never find their way into a big-box retail store, we're guessing you had a different idea about what a "hole foods" birthday card would be. 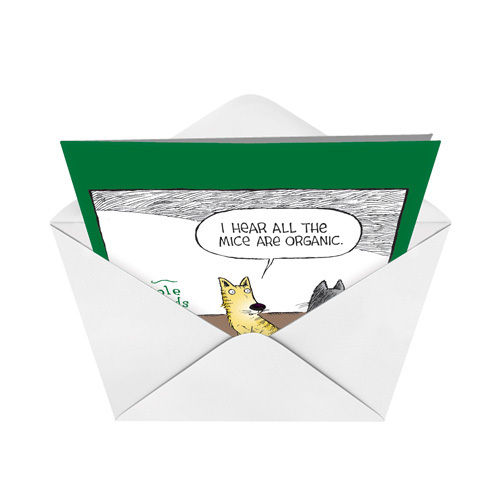 Stop being sad and mopey about the lack of adult humor in this funny birthday card. Dave Coverly, the creator of "Speed Bump," is a riot, and his take on customers of natural food stores is hilarious. 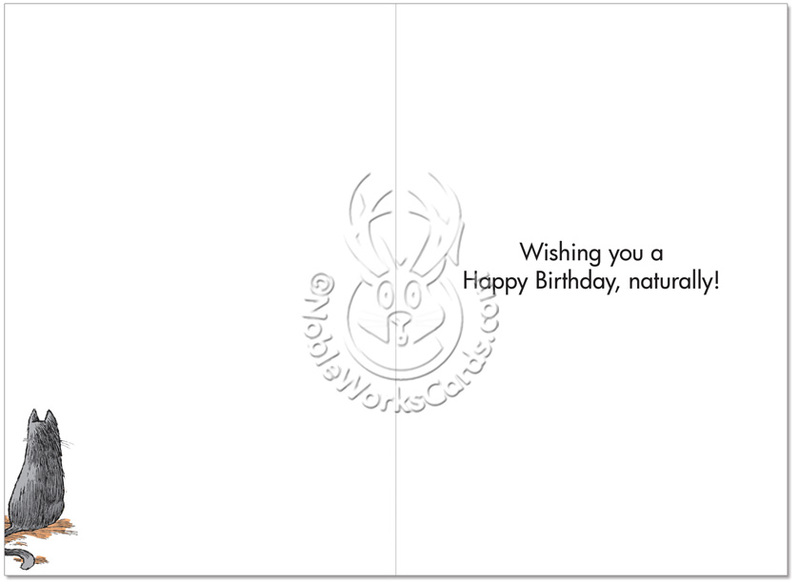 For the health food conscious, all-natural birthday boy or girl, this funny birthday card will offer plenty of laughs. A yellow cat and a gray cat wait patiently and pantingly in line outside a mouse-run Hole Foods outlet, to grab themselves a healthy birthday snack. A 'Happy Birthday' served up naturally, of course, as the main course. Serve it alongside tofu bacon, organic breadmeat, gluten-free glue sticks or whatever health food nuts are eating these days. This is a great card to give my " vegan " & whole food conscious friends ! ProsIt makes mild fun of a current group of conscious people. Card quality is awesome. With coupon discount, it was a good buy.